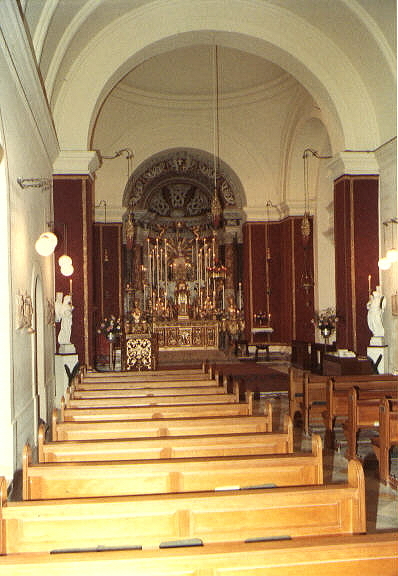 The church dedicated to St. Agatha was built in 1504. In 1670 the church was replaced by a larger one on the same site. It seems that the 1504 church was partially pulled down and the part retained was incorporated in the 1670 building. Nothing could be said as regards to the size and appearance of the 1504 church as no documents exist. In 1870, the Cathedral Chapter funded the restoration of the church and the crypt which were in a bad state of conservation. Then in 1894 the main altar was restored and the marble statue of St. Agatha was elevated on a high pedestal above the altar. In 1912-13 other work was done to embellish the church amongst which the bell tower on the right hand side of the façade and two lateral rooms which served as a sacristy. The years 1957-61 were the years during which structural alterations were done. Besides restoring the entire side walls of the aisle, two small side chapels were added. In 1957 the chapel dedicated to the Immaculate Heart of Mary was added followed by a smaller one dedicated to St. Paul the Apostle in 1960 to commemorate the 19th Centenary of the Apostle’s Shipwreck on the Island. Later on an underground crypt was hewn in the chamber on the right hand side of the main altar. In it lies the remains of the Servant of God Joseph De Piro, founder of the Missionary Society of St. Paul and the deceased MSSP members. The main attraction of this church is the white marble historical statue of St. Agatha. In 1551, according to the writings of Giacomo Bosio (Istoria della Sacra Religione Ill.ma Militia di San Giovanni Gerosolimitano - 1602) a pious nun from the Benedictine Monastery of Mdina, had a vision, in which she was told that the enemy was about to seige the city of Mdina. 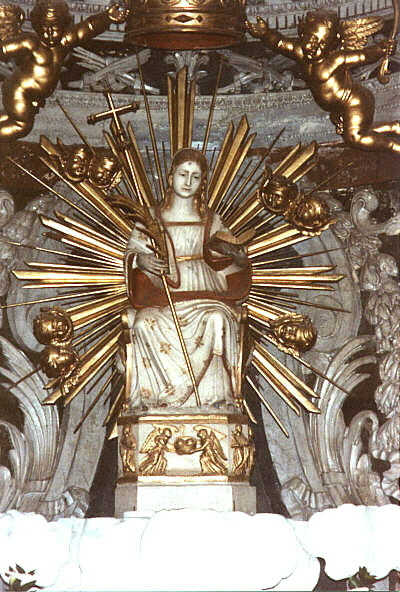 But if the marble statue of St. Agatha would be placed on the Walls of Mdina and Holy Mass will be celebrated, the city would not fall in the hands of the enemy. Eventually the Turks besieged the city but were not able of conquering it, notwithstanding that thousands of arrows were shot against the Maltese. The Turks lost all hope and retreated to the shores of St. Paul’s Bay where they embarked their ships in haste and left the island. To commemorate this event, a votive procession from Mdina Cathedral to this church takes place every year, on February 5th, feast day of the Saint.